Police forces across the UK are stepping up efforts to detect speeding drivers, as part of week-long enforcement operation. The European-wide campaign, organised annually by TISPOL (the European Traffic Police Network), takes place between 1-7 April. The centrepiece of the event is a 24-hour ‘Speed Marathon’ (3 April) – which will see operations focus on locations where the public believe speeding is a problem. Ahead of the marathon, police forces are being encouraged to publish information about the precise locations of the speed checkpoints. The UK campaign is being coordinated by the National Police Chiefs’ Council (NPCC) – with a number of forces taking part. 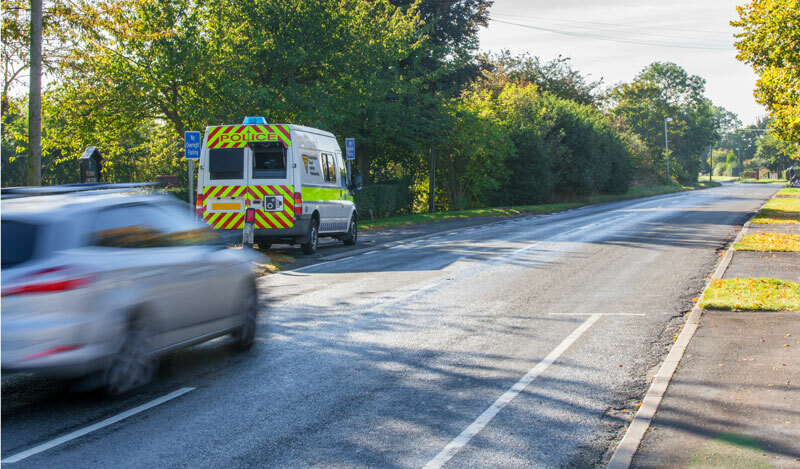 In Cleveland and Durham, police will provide ‘high visibility patrols’ on roads identified by local authorities in the region as having a problem with excessive and inappropriate speeding. Roads with 20mph speed limits will also see increased enforcement activity. Paolo Cestra, TISPOL president, says the operation is about getting ‘into the minds of drivers, not their purses’. Mr Cestra said: “Our activity is all about prevention. We want drivers to think about the speeds they choose; speeds which are both legal and appropriate for the conditions. “By doing so, they will be reducing the risks they face and the risks they pose to other road users. “That’s why we encourage participating countries and police forces to publish information about the precise locations of speed checkpoints in advance. “Illegal and inappropriate speed is the single biggest factor fatal road collisions. That’s why police officers take action against drivers who fail to comply with speed limits. Unfortunately Hugh you may be right, I can’t remember if any police authority has made up specific rules to combat inappropriate speeds as such but it could come under the same umbrella as tailgating and so as u you say its got to be down to the discretion of the officer to show that such a circumstance was considered to be dangerous or without due care and attention or reasonable consideration for other road users. I am sure that one or another would fit the bill so to speak and then there is always the offence of committing a nuisance under the Police Act 2000 or is it 2002 Sect 59 where after receiving a caution if the actions are seen again within a short space of time then the vehicle can be seized and crushed. Re-the penultimate para. …enforcing the speed limit is one thing, but targeting inappropriate speed i.e. too fast, but still within the limit, is much harder and I don’t know if the police would ever pull anyone up for doing this. It’s down to an officer’s opinion and one officer’s ‘too fast’ is another officer’s ‘reasonable’ speed.